Enright Park: Welcome to the 2017 Growing Season! Welcome to the 2017 Growing Season! As we cast off the remains of winter (we hope) it's time to start planning the 2017 growing season in Enright Community Garden. 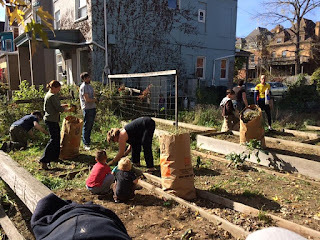 This year, we have been awarded a Love Your [Resilient] Block grant from the City of Pittsburgh to help us upgrade the garden, and to plan for a sustainable future. As you may remember, Whole Foods is no longer a sponsor for our garden, which means that we will be relying solely on volunteer management and labor to support it. 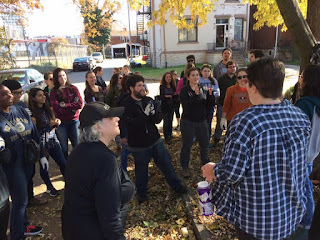 However, we have a great team in place, which includes our neighbors, the Kentucky Avenue School, and Repair the World. In the fall, over 50 people turned out on a chilly but sunny Sunday to put the garden to bed for the year. We are kicking off our 2017 season with a Garden Clean-Up and Planning Session on Sunday, April 9 from 10 AM to 2 PM. 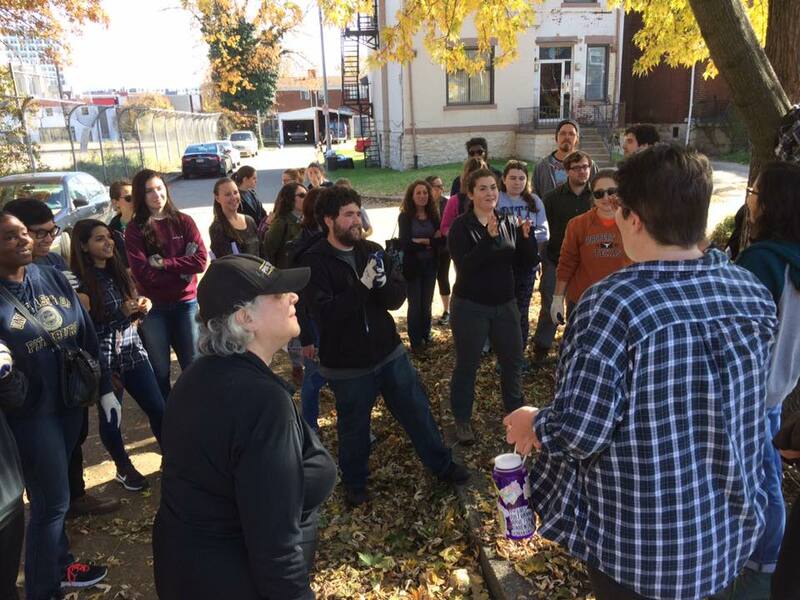 Come out and help us clean, build, and plan for a new season at Enright Community Garden!